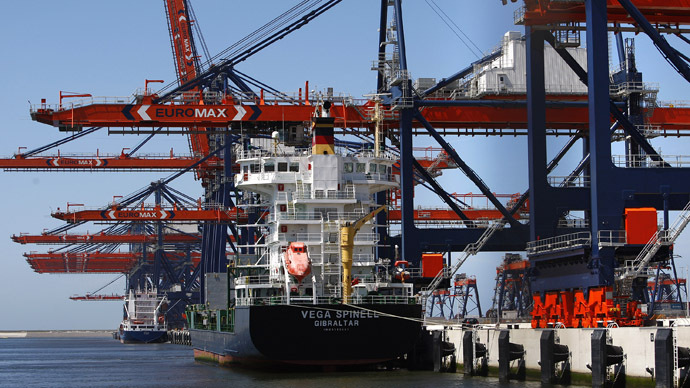 The construction of the Shtandart oil terminal in the port of Rotterdam, forecasted to bring in $1 billion in investments, has been made official , Dutch Economic Affairs Minister Henk Kamp said in a television interview. The Shtandart project is a joint venture between Russian company Summa and Dutch tank storage group VTTI. They first entered discussion about a Rotterdam terminal in 2001, but Transneft’s possible participation complicated negotiations. All the kinks have been smoothed out and the license has been issued to begin construction. 'The signing of this agreement means a serious investment for Rotterdam and the Netherlands,' Kamp said. Russian Deputy Prime Minister Arkady Dvorkovich visited the Netherlands on March 6th, when he held talks with Kamp and other Dutch officials. Ziyavudin Magomedov, the business magnate and owner of Summa Group, will join President Putin in the Netherlands as part of a business delegation following Putin’s visit to Germany. The new port will be called ‘Tank Terminal Europort West’ (TEW) and will be situated on 55 hectares and partitioned into two zones of 45 (Zone A) and 10 hectares (Zone B). Zone A will be equipped for supertankers up to 300,000 tons and Zone B will be adjacent to the railroad loading facility in the port. The two zones will be connected by a 750 meter pipeline. Rotterdam will serve as an ‘open hub’ for Russian oil, and create a trading platform for Urals crude oil. Construction will begin in 2014, and it will open in 2016. The port will have a 50 million ton capacity for oil and 12 million ton capacity for light oil. In an effort to attract more traffic, a special ‘through rate’ may be offered for Russian oil passing through the Rotterdam port. 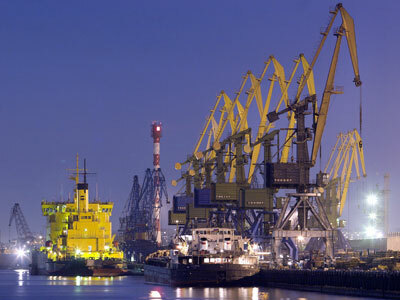 Russian companies have opposed the opening of the Rotterdam port since the proposal’s inception. Presently, most of the Ural energy deliveries don’t go as far as Rotterdam. Most of the exports go through Primorsk, the Russian port north of St. Petersburg on the Gulf of Finland. “We carry out shipments from Primorsk. But not many tankers go to Rotterdam. We make direct shipments to Finland, Sweden, and Germany. What is the point of going to Rotterdam to make trans-shipments there? The terminal will only be required by companies that supply the Asia-Pacific region and the United States, which Gazprom Neft does not supply to. We are satisfied with shipments to Europe, and everything suits us. We would not like to leave these markets,” Gazprom Chairman Alexander Dyukov said. “We do not have anything to do with this project. I found out about the project from the newspaper,” Dyukov added. Transneft President Nikolay Tokarev told Kommersant newspaper that shipping oil from Primorsk to Rotterdam doesn’t make sense logistically. “It turns out that our work, according to ‘Summa’, is worth zero kopeks. Working with a state business, this is not the case,” said Tokarev.